Yahoo! Shine touches base on the top 5 dangers your skin could be facing with daily cell phone use, featuring facts and tips from Dr. Eric Schweiger, founder of Clear Clinic. 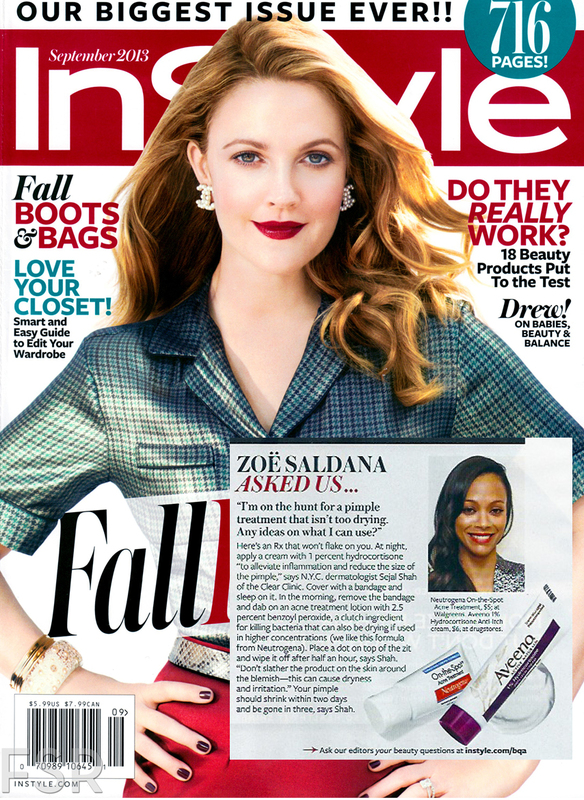 InStyle magazine September issue features Dr. Shah from New York’s Clear Clinic to answer Zoe Saldana’s question of what to use as a non-drying acne treatment. 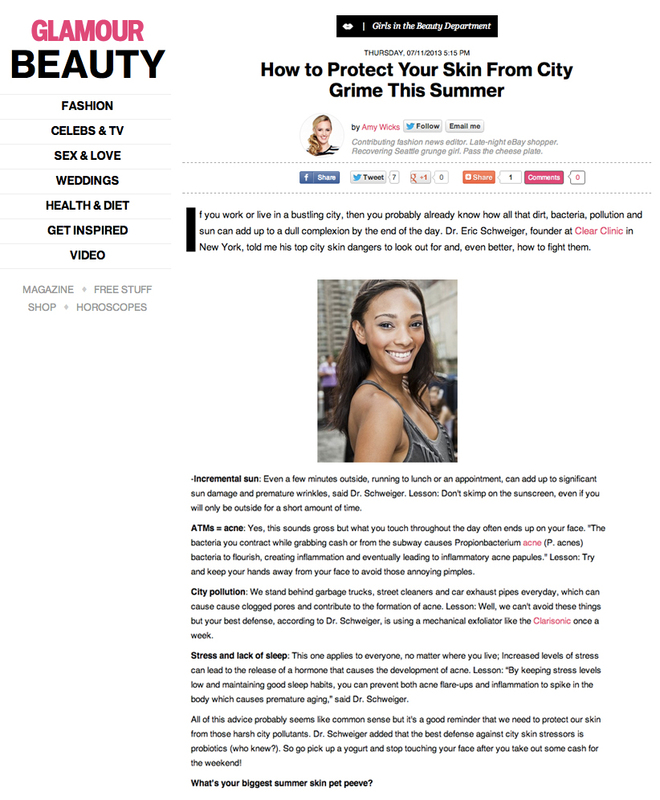 Glamour magazine features tips from Dr. Eric Schweiger, founder of Clear Clinic, in How to Protect Your Skin From City Grime This Summer. El Diario featured Dr. Sejal Shah from Clear Clinic and broke down everything there is to know about SPF levels and sun protection. Glamour Editor, Beth Shapouri, talks on her visits to Dr. Eric Schweiger’s Clear Clinic and his genius “moisturizer sandwich” method for harsh treatment products.